I FINALLY saw Moneyball last night. But it didn't happen. And I popped the DVD in last night and my wife was asleep before they traded Jeremy Giambi. So much for it being entertaining even without knowledge of baseball. I know a lot of baseball fans who did NOT like the movie. Some were people who just didn't buy Billy Beane's philosophy or thought he was overrated. Others pointed out some of the factors of the A's success in the early 2000s that were left out. That bugged me a little as well. I mean while the A's made the playoffs in 2000, 2001, 2002 and 2003, they had Barry Zito, Mark Mulder and Tim Hudson. Having one of those three start 60% of your games MIGHT just be a bigger reason for a 103 win season than Scott Hatteberg taking a walk. And yeah, baseball lifer Art Howe being reduced to an emasculated bumbler might be a bit cruel. 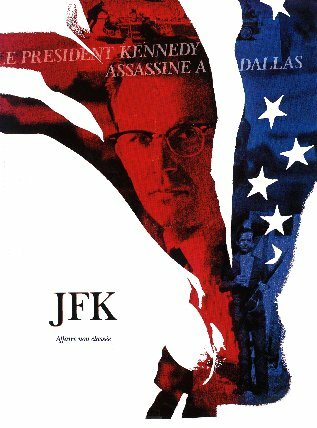 But I put that aside and enjoyed it the same reason why I like Oliver Stone's JFK. There are leaps in logic in the film and fictitious characters created to connect the dots. And The Magic Bullet is demonstrated with two people who are NOT sitting in the position that Kennedy and Connelly were seated in the car!!! At first I hated the film. That's how I view Moneyball. It was a compelling underdog story. It was the story of a guy who had no choice but to try something different and drastic to win. Yeah there was no Peter Brand but rather he was named Paul DePodesta. But it is more interesting to see a jock like Brad Pitt paired with a very unathletic Jonah Hill. Sure the whole fight over Scott Hatteberg and his playing time was exaggerated, but it made his walk off homer all the more dramatic. Brad Pitt was great and he was pitch perfect as a failed player turned floundering GM. It was like The Social Network, but with baseball. So yeah, I dug it. In fact I feel a little guilty that I was rooting for the Twins in the 2002 Division Series! If I knew that Billy Beane had an adorable daughter who sang "The Show" by Lenka, I would never have been rooting against the A's! I still haven't seen "Moneyball," because, being a fan of the team I'm a fan of, I think it's wrong to glorify failure. And, let's face it: Moneyball the philosophy failed. The A's haven't won a Pennant since Bush was President. The father. Let's face it, "The Damned United" would have been an incredibly depressing movie if the subject, English soccer manager Brian Clough, hadn't gotten the last laugh on the men who mocked him. And let's not forget: Billy Beane HAD a choice... in fact, he still does. He could have said, "Gentlemen, this isn't working. I've had enough of that. Give me the money I need to build a championship team, or I take my genius reputation and I walk." He didn't, and now, if the A's end up leaving the Bay Area, it will be Beane's fault as much as anyone else's. He's no genius, and he's no hero.